Traveling from USA (or Canada) to Russia on a direct roundtrip flight to Moscow can cost a minimum of about $ 800. On the other hand, a roundtrip flight to Moscow with a layover in another European city can make it a little cheaper. 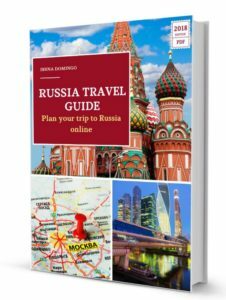 In this post, I explain the different options available for flying from USA to Russia, as well as provide advice in order to find the most economical flight. 4. 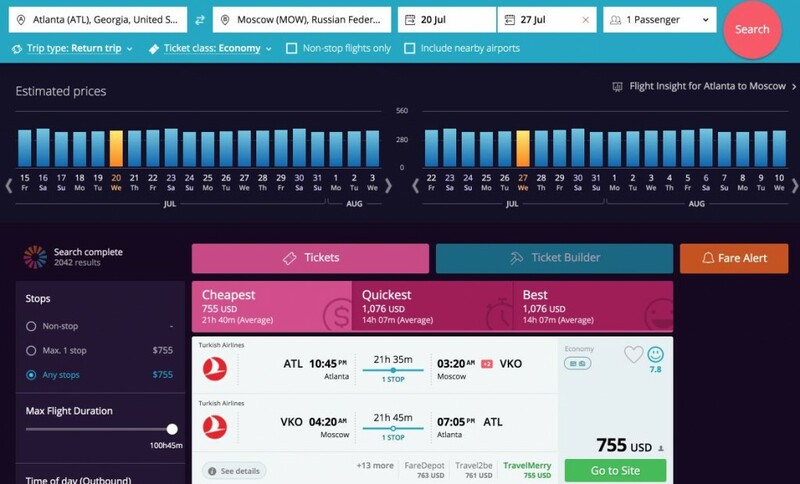 What does a flight from USA to Moscow cost? The increase in tourism and trade relations between USA and Russia has led to an increasing number of airlines offering direct flights between USA and Russia, particularly to Moscow and St. Petersburg. Most of direct flights operating between USA and Russia originate in major US cities: New York, Washington, Los Angeles, and Miami. Moscow has three international airports (Sheremetyevo, Domodedovo and Vnukovo), while St. Petersburg has the Pulkovo Airport. 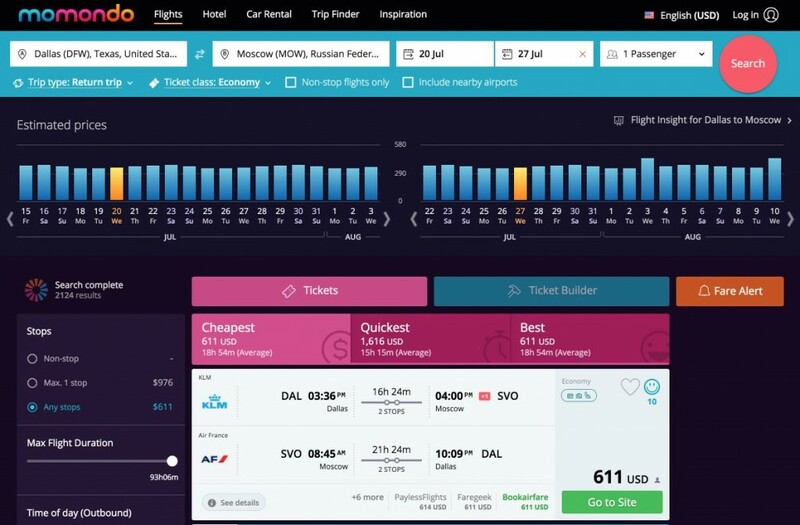 In this article I analyze the different companies flying from USA to these airports as well as how to find the lowest prices by comparing prices on flights through the excellent website Momondo. Aeroflot. This is a Russian national airline and the biggest one in the country. They offer regular flights from Los Angeles, Washington, New York, and Miami to Moscow. Delta Airlines. American airline with direct flights are available to Moscow from New York. If you are traveling to St. Petersburg, one option for some travelers is to take a flight to Helsinki or Tallinn, cities located 5 hours by train or car from St. Petersburg. It is a good option if it is cheaper than flying to Russia directly or in the event that you want to visit Finland or Estonia. For example, Finnair has direct flights to Helsinki from New York. Do not limit yourself to only direct flights from your origin city to Moscow or St. Petersburg, but rather also look for offers on flights to some other European city (London, Amsterdam, Zurich, Warsaw, Paris, etc.). It is also interesting to look at the connections from cities close to Russian territory such as Helsinki or Tallinn. Many airlines allow multi-destination options: if you want to visit Moscow as well as St. Petersburg on the same trip, there is the possibility of traveling from USA to St. Petersburg and then for the return flight traveling from Moscow back to USA, so that in this manner you just have to make a round trip between St. Petersburg and Moscow (which will save you money and time). 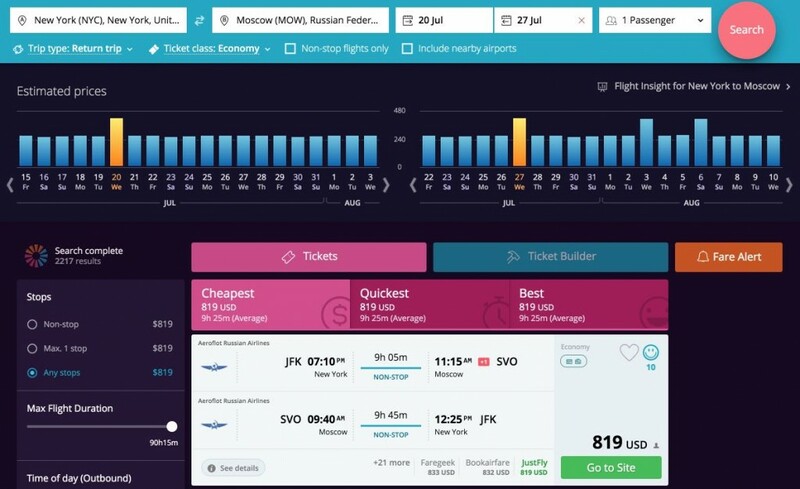 It allows you to search for multiple destinations, which is very useful if you want to make a round trip, for example, from New York to Moscow and another back from St. Petersburg to New York, so that you avoid making two trips between St. Petersburg and Moscow. Next I am going to compare the price of traveling between the major airports in USA and Moscow. I am doing these searches with half a year in advance (February 2016), flying between July 20th and 27th, 2016 (high season). Flights New York – Moscow. A direct return ticket from New York to Moscow with Aeroflot costs $ 819. 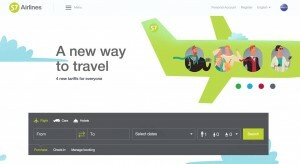 Flights Atalanta – Moscow. The cheapest way to fly from Atlanta to Moscow is via a round trip flight on Turkish Airlines with a stopover in Intanbul ($ 755). Flights Dallas – Moscow. The cheapest way to travel to Moscow from Dallas is a flight with two stopovers ($ 611). 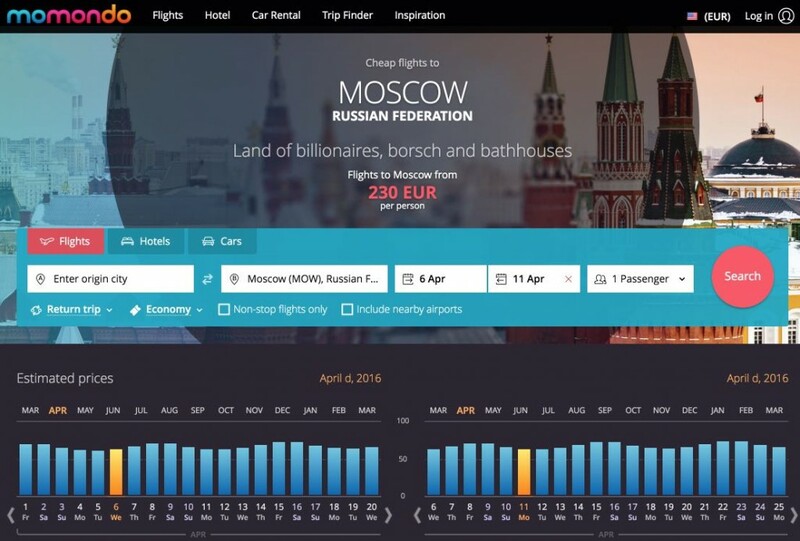 To fly from USA to Russia at lower prices, it is very important to book the flight more than 3 months in advance and use as a flight comparison website like Momondo to find the cheapest flight. 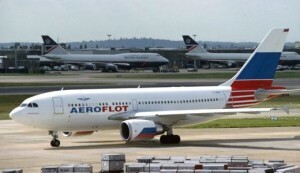 Aeroflot and Delta Airlines have direct flights to Moscow, with an average price of a round trip ticket at about $ 800. If you do not care to make any stops, you can buy a flight with layovers with companies such as British Airways, Turkish Airlines, KLM, or Lufthansa and get a much better price (around $ 600-700 round trip ticket). In short, the options vary depending on the needs of each person’s budget or the cities you are visiting. In any case, the flight comparison site Momondo is essential to finding the best and most economical flight.